The Boys Authentic Short is a 100% cotton 8.4 oz. 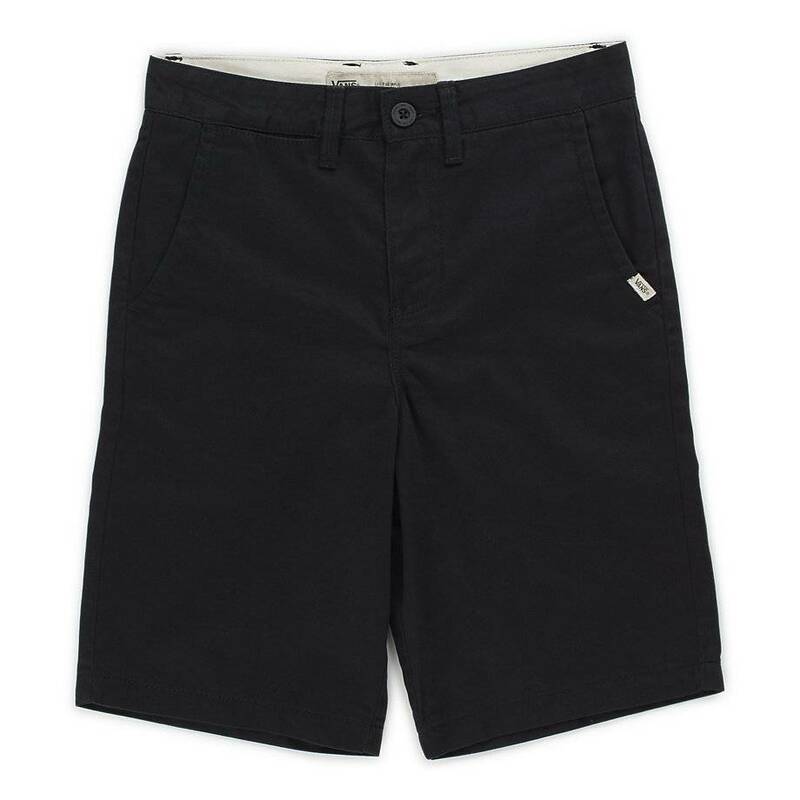 twill chino short with front slash pockets, back welt pockets with button closures, and a woven Vans branded label. Made from imported materials.